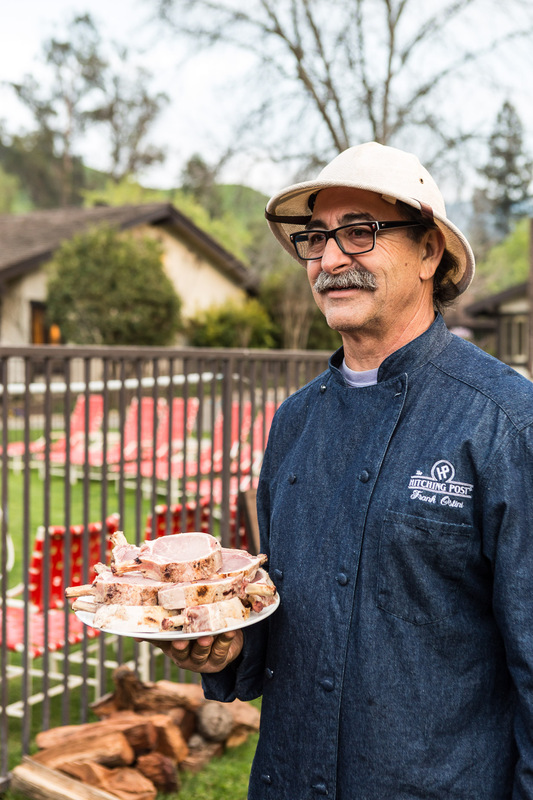 Frank Ostini, owner and chef of Buellton, CA restaurant Hitching Post II, with a plate of pork chops at the culmination of the Alisal BBQ Bootcamp. Participants try out their spice blends and cook their own BBQ, aided by the instructors. The Alisal Guest Ranch and Resort, Solvang, California.